Australian Schools knew they were going to be in a hard battle. 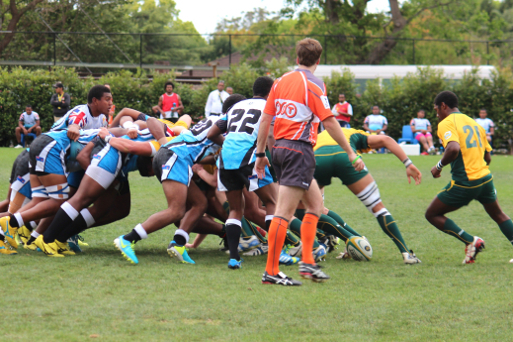 Fiji Schools had beaten Country Schools at Armidale and had an historic win over New Zealand Schools at St. Marys, but the Aussies hadn’t played a game yet. It couldn’t have started better for the Aussies when they got a scrum in Fiji real estate and the ball was whipped from 9. Short to 10. Deegan to 12. Moeroa, who rumbled before passing to 15. Kellaway, who scored. It was a training-type move, and hadn’t we seen that for GPS and NSW Schools? We probably had. Just two minutes in Australia was ahead 7-0. At ten minutes they scored from another scrum when Deegan took a bounced ball and struggled through some soft defence to score handy. 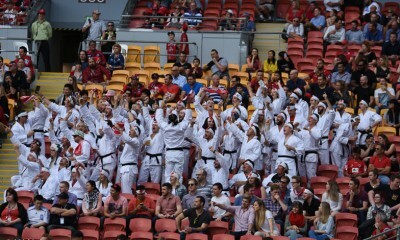 The Aussies were leading 14-0. It looked like it was going to be a walkover but then Fiji started to play—and fullback Kellaway had to make a dramatic diving tackle to save a certain try. At the 20 minute mark Fiji launched several charges for the line and eventually 13. Nakolelevu scored and converted. 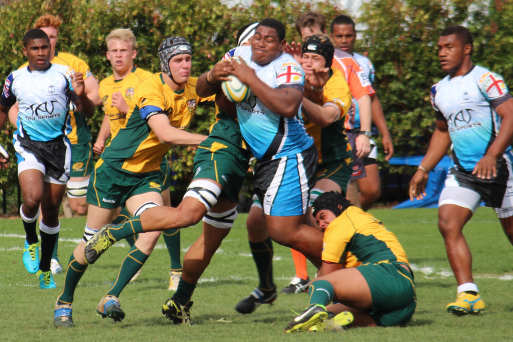 Oz Schools 14-Fijian Schools 7. After early Australian pressure in the game Fiji were stabilising and were putting on their trademark big hits. And, on attack, 7. Dolokoto burst away from the scrum but was pulled down just in time. A few minutes before oranges Australia kicked the ball through and it had to be taken into touch by Fiji. From the lineout they drove the the maul over for a try. 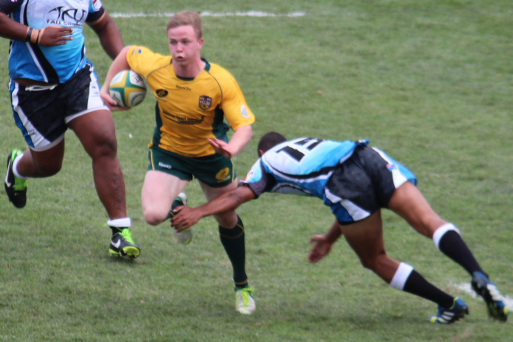 A maul try from an Aussie team !! I was surprised too. 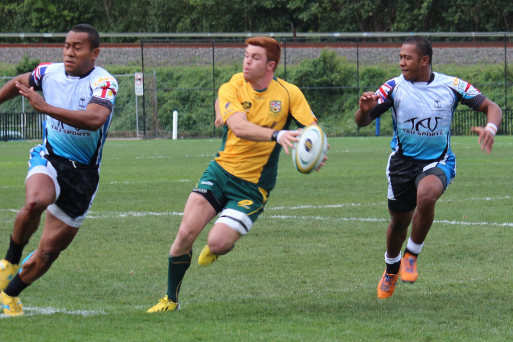 At half-time the score was 19-7 to the home side and Fiji were ruing their sluggish start. Seven minutes after oranges Aussie 13. Hutchison went through a gap and swerved in. He dished the ball out in a tackle to Deegan running diagonally behind him and the flyhalf knew how to translate Hutchison’s break into points, and dotted down. When he converted his own try Australia led 26-7. Then after this unexciting play, Australia scored an unexciting try. A pile of bodies flopped over the Fijian goal-line and referee Ed Martin noticed that reserve backrower Raboni Warren-Vosayaco had grounded the ball for Australia. 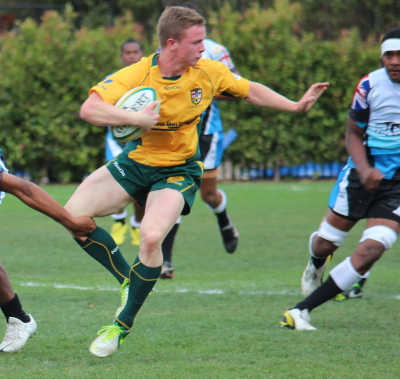 Final score: Australian Schools 31 — Fijian Schools 7. Fiji started too slowly and allowed two easy tries early. 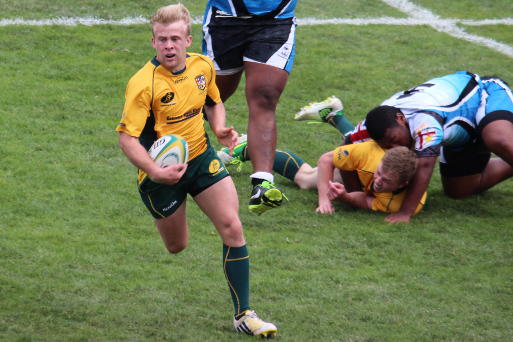 They were also short of numbers for the Aussies fourth try when Hutchison made his break. Then they made unforced errors when the line beckoned. Australia began well but lost their way in the second half when they should have thrown short passes in the windy conditions. Their set pieces were strong and they played a fast game. Apart from having to suffer a few monster hits they held their own in the physical contests. 12. 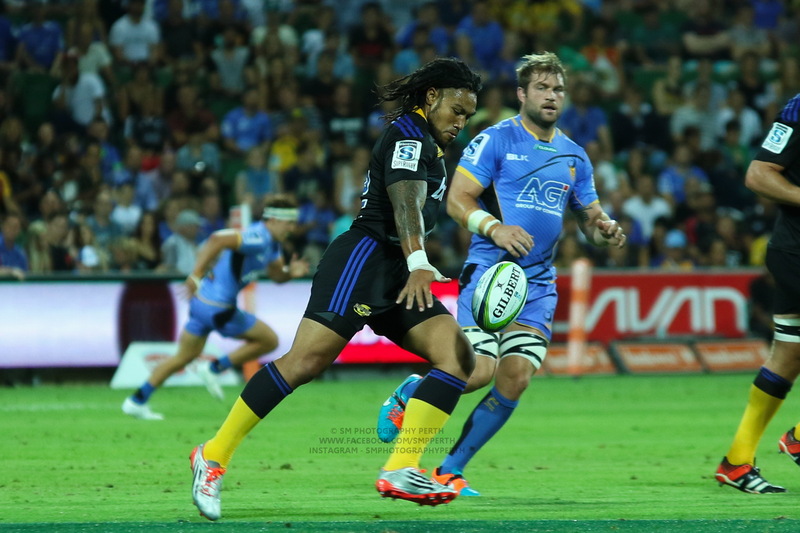 Kikau stopped Moeroa when the met on the field, and meet, they did. 7. Dolokoto was lively around the field and scrumhalf Nawai had a neat game in the windy conditions. Australia: 3. Henry Hutchison; 2. Brad Wilkin; 1. Andrew Deegan. 13. Hutchison was supposed to be playing in the Australian U/16 tournament this year but has become a rainmaker this season and is playing Opens for Australian Schools. He was dangerous most times he had the ball and also knew how to put big men on the grass. 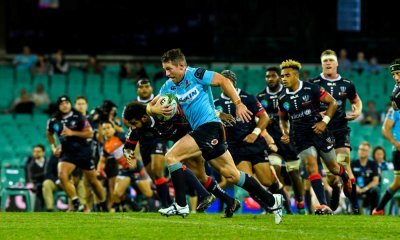 Flanker Wilkin was like an energiser bunny, and flyhalf Deegan did his thing: taking loose passes with aplomb and putting his body in front of big ball runners. Knew how to score a try, too. 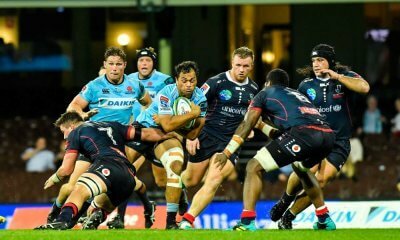 Fiji will be disappointed after commencing well in Australia and they will have to get a better start against Australia A to ensure that they finish their tour off with a bang. 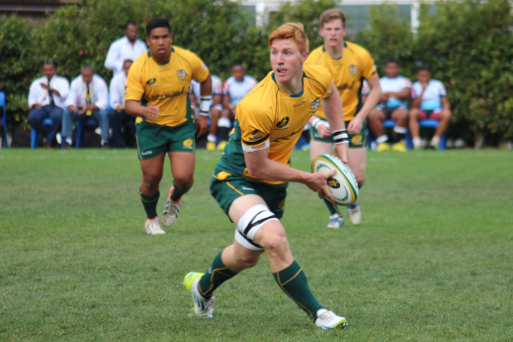 Australian Schools are well-placed to continue their good run against the Kiwis on Saturday but have to think on their feet better. Look forward to hearing how they hold it together against the kiwis. Hopefully they concentrate better than the big boys – do they do focus training? 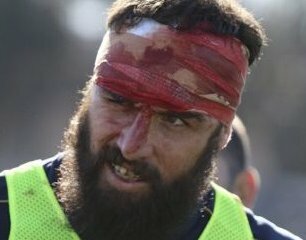 The Wallabies make me think they don’t train hard for more than half hour blocks. Knox Grammar is hosting all these matches.